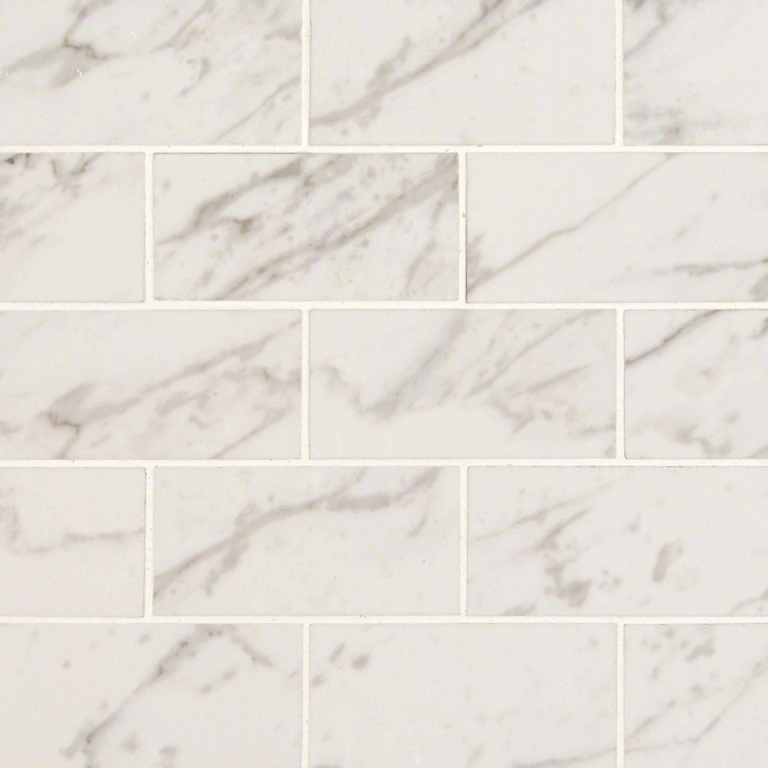 This Carrara Porcelain Mesh-Mounted 2X4 Mosaic Floor and Wall Tile comes in 1 sq. ft. sections for ease of installation and offers a lovely marble look with stunning whites and dramatic gray veining that delivers class and graceful style in durable porcelain. This tile features 2 in. x 4 in. brick pieces on a 12 in. x 12 in. mesh-mounted mosaic sheet with a smooth polished finish and can be used for whole floors or wall sections or trimmed to provide a striking accent as desired. Use the tile in various areas around the home for medium-duty flooring such as in kitchens, hallways or even outside around terraces or balconies. The slip-resistant design is recommended for indoor use.